Hop in your car and discover Kentucky's history, culture and scenery as you drive down one of the state's scenic byways. The Bluegrass State features nine distinct regions and rich scenic environments from which to explore. With the mountains of the eastern Appalachians, the lakes and rivers of the western regions and the rolling hills, caves and cavern found in the Central Kentucky Bluegrass area, Kentucky (KY) is an ideal destination for a road trip vacation. The state is known for historic sites paying tribute to Daniel Boone, George Rogers Clark and Abraham Lincoln; the Jack Daniels beverage company; the world famous Kentucky Derby Racetrack and the historical points on Underground Railroad and the Trail of Tears. 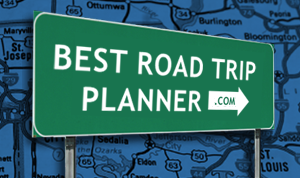 Among the best scenic drives in Kentucky are: Red River Gorge Scenic Byway, Country Music Highway and Lincoln Heritage Scenic Highway. This road trip doesn't have "urban scenery" to offer.